Hail Geekdom! Fan Expo Canada is a celebration of all things pop culture, comics, and gaming. 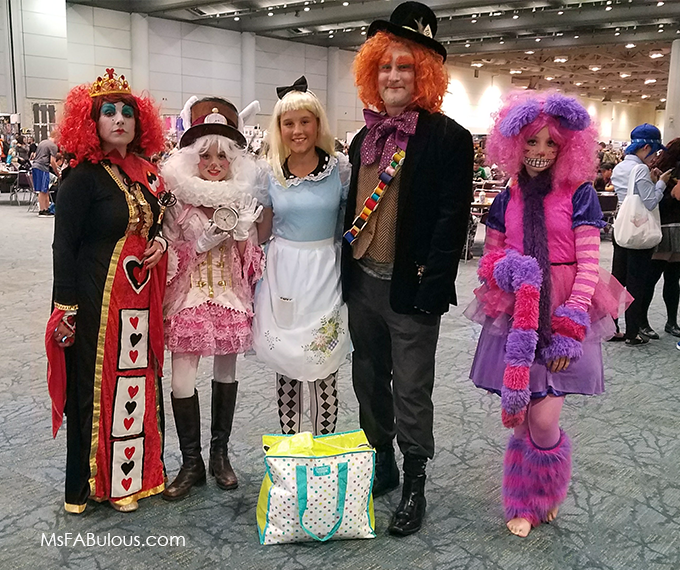 Cosplay is the reigning fashion statement where fans dress as their favorite characters. What once started as a few themed t-shirts and store-bought costumes has evolved into an art form. At Fan Expo Canada in Toronto, the organizers have catered to this group with everything from a multi-backdrop “play park” for themed selfies to high-stakes competitions. Harley Quinn, Doctor Who, and various companions were the most popular characters this year. Rocky Horror Picture Show fans came out of the dungeons, no doubt boosted by the appearances of the original cast of Tim Curry, Meatloaf, and Patricia Quinn. Other Batman villains made multiple appearances. Surprisingly, gender swapped Two-Face was a popular choice for women. I did not see too many Goths; they were replaced by Steampunk looks, including Steampunk versions of popular comic characters like the Joker and Wonder Woman. Star Wars is as popular as ever with many variations of Rey and BB-8 as costumes. Of course, a massive march of Stormtroopers makes a great visual as you walk through the halls of the Metro Toronto Convention Center. 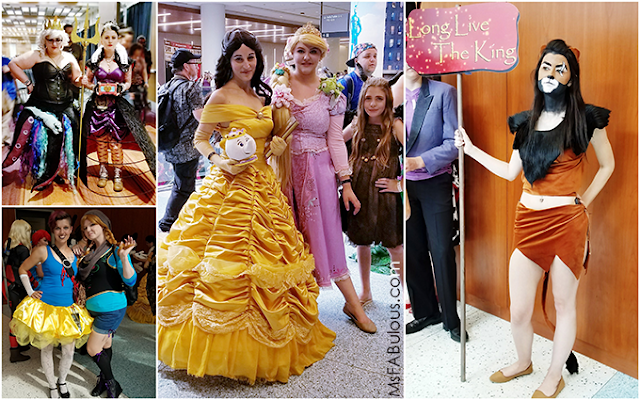 Disney has inspired two rapidly growing cosplay movements. First, there are the fans who create elaborate costumes for Disney Princess or Disney characters and take on their persona. The other is what is called “Disney Bounding,” a phrase coined by Leslie Kay, a Canadian local which has spread internationally. Dinsey Bounding is where fans style regular street clothes to fit into the looks of their favorite Disney characters. Both groups were well-represented at Fan Expo. Apparently, they gravitate towards each other and have formed a tight-knit community. My friend at DragonCon in Atlanta said the same groups found each other in that city as well. Gaming and Anime characters inspired the most elaborate props on the Fan Expo floor. While the Walking Dead’s Negan cosplayers mostly had their baseball bats confiscated, the gaming fans had more theatrical (aka less threatening) props to wield during photo shoots. So what character do YOU dress up as for your local Comic-Con? 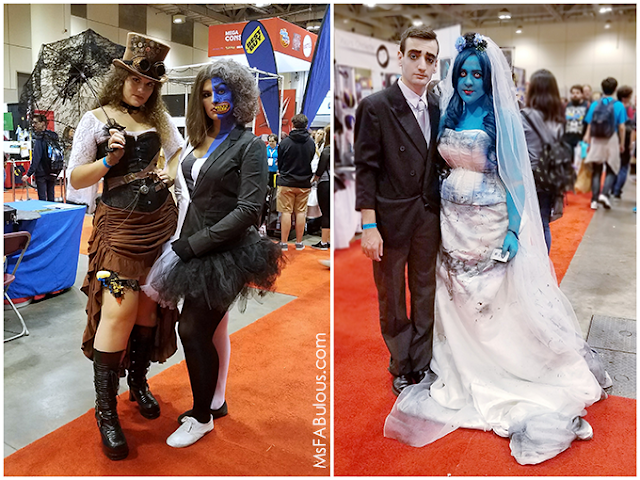 Did Fan Expo Canada’s cosplay inspire you?